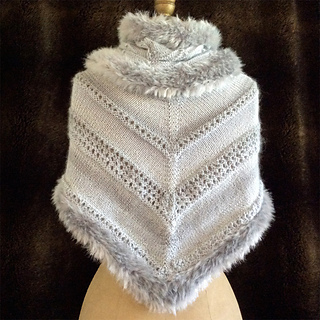 This shawl is the first piece I designed for what I intend as an elegant ensemble especially for the holiday season, meant to be worn by teens and adults. My five-year-old granddaughter tried it on, and it looked very wonderful on her as well. This shawl may be worn across the back and shoulders as a shawl, or turn around and worn kerchief style around the neck. 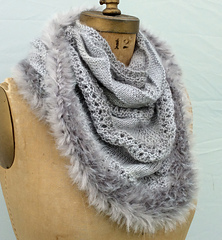 You or your knitting gift recipient will feel extra special wrapped up in these delightful, luxurious pieces. I have included recommendations for alternative color choices in various yarns to help make it quick and easy to find solutions to locating just the right fiber in just the right color for your special project. 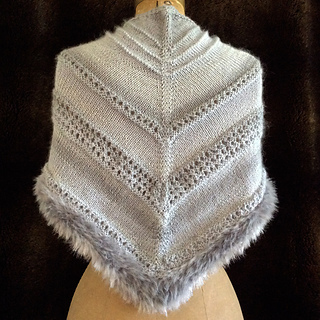 The shawl is the first release in the series of four patterns. 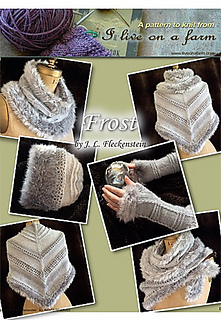 The other three (cowl, hat, and fingerless gloves) will be released over the next several days. 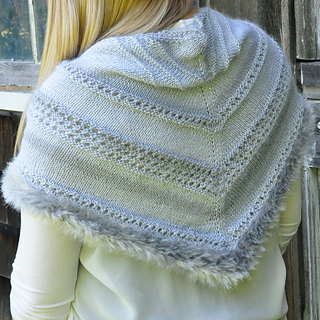 This pattern is easy to follow, with very clear and detailed instructions. 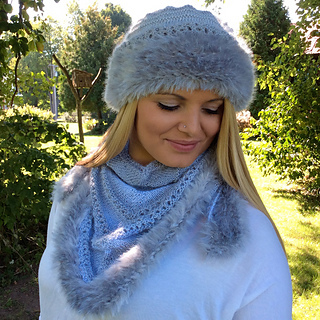 It is easy and very enjoyable to knit, as well as being a quick knitting project--so there is plenty of time to make more than one before the holidays. Have a beautiful winter, and a wonderful holiday season. Follow me on Instagram to see day-to-day knitting and fiber shots as well as beautiful photographs of our farm and the surrounding area.